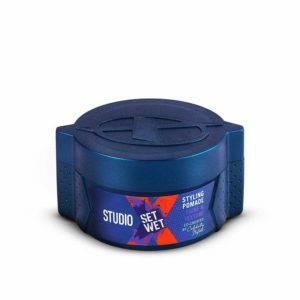 Amazon is here with a great deal offering Set Wet Studio X Styling Pomade For Men – Shine & Texture 70 gm at Rs 206 only. Set Wet Studio X, co-created by top celebrity stylist Aalim Hakim is an expert grooming range for men who want to sport that celebrity look everyday. Grab Now..!! How to Buy Set Wet Studio X Styling Pomade For Men – Shine & Texture 70 gm?